The past few days have seen alot of buzz in various channels and establishments due to the great Titanic battle between the two largest nullsec sides. 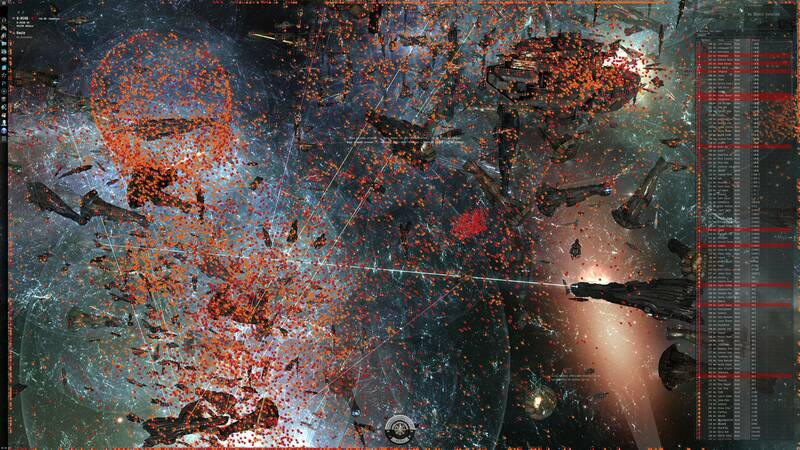 The Communication Control and Protection division of Concord (CCP in short) provided a great report on this massive fight: The Bloodbath of B-R5RB, Eden's most destructive battle ever! 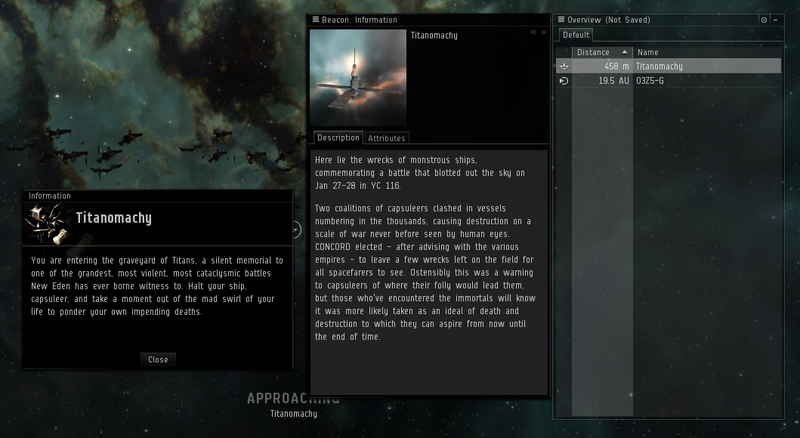 Also, Capsuleer Alizabeth Vea provides a very informative report on this fight, a real must read to understand such large battles more, and what they mean: The largest battle ever! It's expected that mineral prices will rise, in order to accommodate the increased demand for ship-production to replace the massive losses. Also due to the nature of the losses, industrial prductivity will ramp up in various shipyards, possibly increasing capital ship prices. Concord did establish a memorial site shortly after the fight ended, as it's historic significance was clear: The Titanomachy site, immortalising the remnants of this titanic clash forever.